11 Jan 2007 we were asked back!! 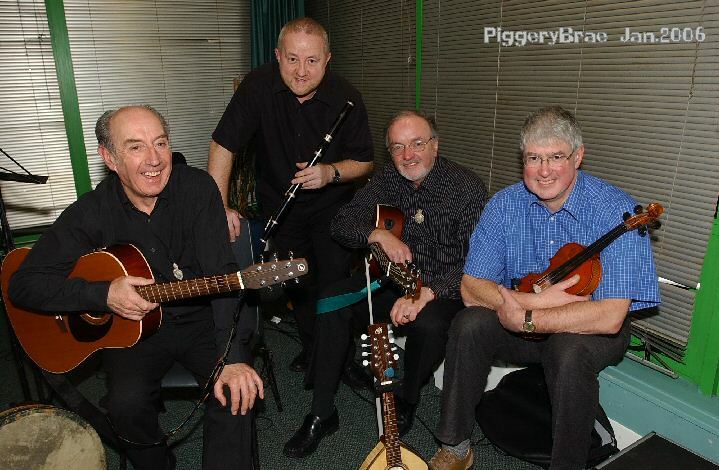 We were delighted to entertain again at the BB dinner. 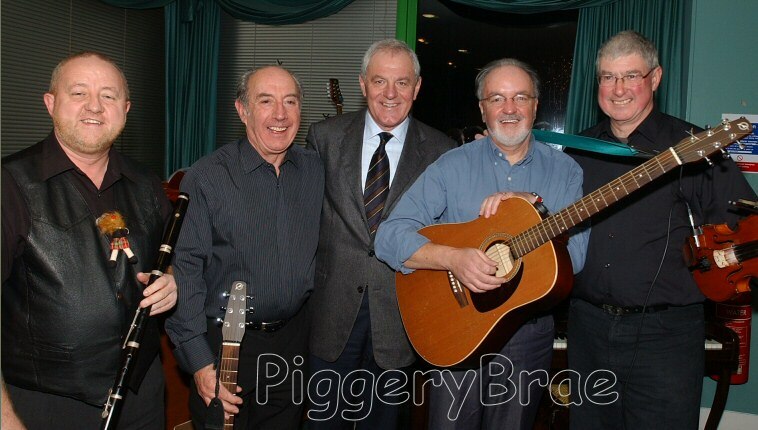 Once again it was a very enjoyable evening, nice meal, good speeches & of course PiggeryBrae! Nice to see Walter Smith at the dinner supporting the Boys Brigade, he and his brother were members of the 136th BB Company from Carmyle, just across the River Clyde from Cambuslang. He was on the programme as the manager of Scotland but two days ago he was appointed the manager of Rangers FC. and of course he wanted his photo taken with us!